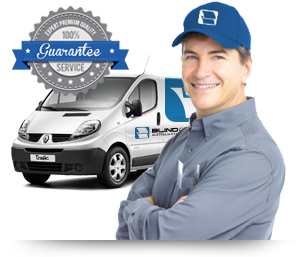 Blind Concepts is one of the Most Efficient Blind Cleaning Service in Melbourne – Welcome to you! Looking for blind cleaning ideas that can enable you to maintain immaculate blinds always? Keep your blinds looking their best with our blind cleaning services in Melbourne. At Blind Concepts, we provide comprehensive blind cleaning to leave your window covering look crisp and revitalised. Our service is second to none and you can completely rely on us for all your blind cleaning needs. Be it a Roman, Venetian or Vertical blind, we are here to offer fantastic results with every clean. At Blind Concepts, we offer professional blind cleaning services that can help you refresh the appearance of your space. We offer a comprehensive range of cleaning solutions, designed to make the task of blind cleaning smooth and hassle-free for you. Whether you are looking for Venetian blind cleaning or Roller blind cleaning, we have the perfect solution for you. If the question, how to clean and install roller blinds bothers you, look no further than us. With our experience and resources, we are well-equipped to take care of all your blind cleaning needs. 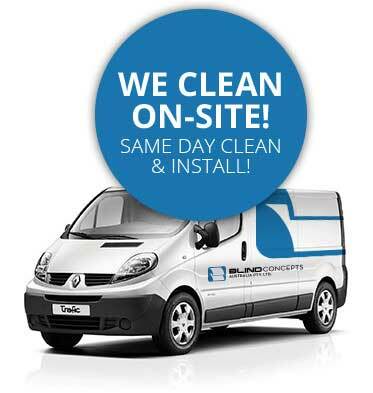 We have two trucks specifically designed for ‘On Site’ Venetian Blind cleaning. We can in some situations clean Verticals and Holland Blinds ‘On Site’. We also clean Cedar / Timbers. Confused, how to clean metal Venetian blinds? We have the answer to all your cleaning needs for Venetian blinds in Melbourne. With our exceptional service, you no longer need to worry about how to clean Venetian blinds. Our cleaning process is simple but extremely effective. No, we don’t use any electronic cleaning devices – we use good old fashion cleaning methods with lots of care. Domestic – Cleaning and repairs are done ‘On Site’. Less disruption, no need to take your blinds away and then return them at a later time. You will see the great results immediately. Our curtain and blind cleaning service are quick, reliable and designed to cater to your precise needs. We take pride in our commitment to quality and can help you keep your blinds sparkling. Contact us now to discuss your blind cleaning requirements.